So it’s been interesting seeing people’s reactions to our story in local news, and it’s apparent that myths abound about home education and homeschooling requirements. I think it would be great if home education was openly discussed as an option with families with as much enthusiasm and information as applying for school places. I recently wrote a detailed post answering the top 10 most frequently asked questions about homeschooling, so if you are just starting out with research about home education (or want to know what people will ask you if you homeschool your kids), take a look! There’s also our complete collection of homeschooling blog posts here. Wouldn’t it be wonderful if, instead of the nail-biting wait that parents have to endure to find out if they’ve got the much-wanted school place for their child or ‘might have to homeschool’, there would be a relaxed and happy time of exploring educational options, with parents confident in the knowledge that home education is a joyful and rich path to follow, and not a second-rate last resort? 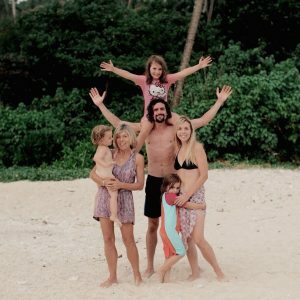 Since our story about leaving the UK to travel with our family went viral in national and international press, we’ve received a lot of questions about homeschooling, so I thought I’d clear some up. No National Curriculum! We do not have to, legally or otherwise, stick to the schools’ National Curriculum or even follow a homeschooling UK curriculum. People are often horrified at this, but did you know that private schools and free schools don’t either? Not having a set homeschooling UK curriculum means that we can tailor and personalise each child’s experiences according to them as individuals. Discover more about different types of homeschooling curriculum and the best homeschooling programs (and how to pick one) in The 6 Types of Homeschool Curriculum. 2. It’s 24/7: That doesn’t mean that we sit at desks day and night. It means that learning happens everywhere, all the time, so we don’t need to split our days into ‘learning time’ and ‘leisure time’. Learning and fun go hand in hand; kids learn best when they are enjoying themselves. Discover more about our educational philosophy in No Rules, No School: All About Unschooling. 3. No Fines: No, we don’t get fined for taking our kids away in term time. If this was the case we wouldn’t have moved to Bali (find out the 10 reasons why we did here). We aren’t using the services of a council’s school system so we don’t fall under the terms and conditions as the parents of schoolchildren do. 4. No qualifications: No, this isn’t the fate of our children (although many qualifications are outdated and unnecessary, but that’s a post for another time). You do NOT need any qualifications or approval to home educate your children (unless they are enrolled in a school for children with extra needs). No teacher training, not even a GCSE necessarily. (The Open University, interestingly, requires no qualifications in order to take a degree course- simply that you are able to. Plenty of other Universities, including some of the best in the world, have accept homeschooled children in with no prior qualifications.) What you do need in order to homeschool is a deep love and commitment to your child’s wellbeing, and the determination to seek out community, help and resources when you and they need them. To understand how children can learn without a curriculum or qualified teacher I highly recommend John Holt’s book ‘How Children Learn’, which provides excellent insight into- surprisingly- how children learn and how homeschooling can be the best educational choice for many. 5. It saves YOU money, taxpayer! : The taxpayer cost of primary school for one child is now around £5000 per year. Assuming the usual seven years of primary education that is standard for most children we are saving ‘the taxpayer’ (anyone ever met this guy?) £35,000 per child, or £115,000 for all three of our children in total (I wonder if I can get that back in airmiles?). Home education is like private school in that the families fund it themselves. There is no homeschooling UK funding such as grants or scholarships for individual families (although I might start my own Making Great Cups of Tea for Mum Scholarship). 6. It’s cheap! 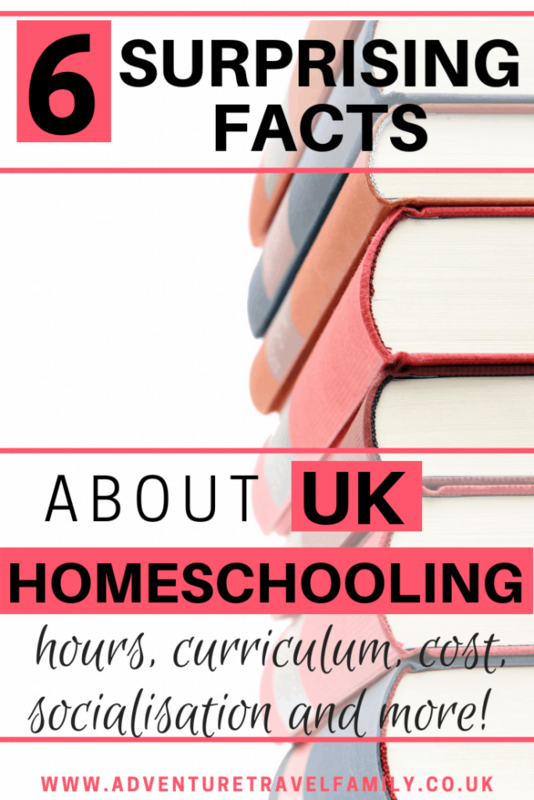 The homeschooling UK cost doesn’t have to be much at all. There is no homeschooling UK funding for families but the big expensive packs of curriculum books aren’t necessary at all (and we think it’s often better without!). If you’re creative and committed you can find the fun and educational opportunities in anything. 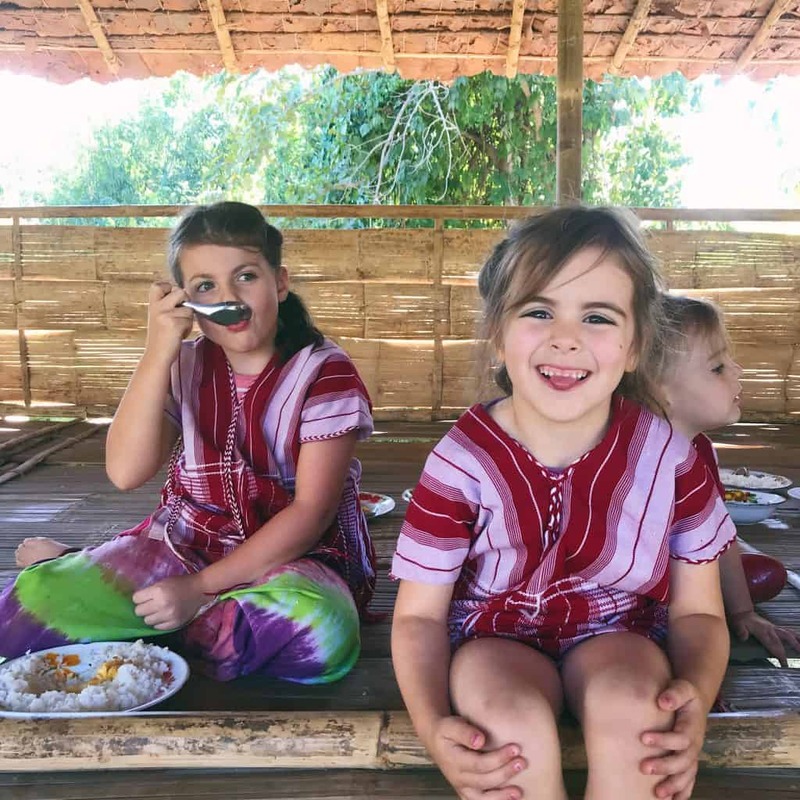 We are home educating and travelled for a year on a shoestring budget! There are plenty of websites, apps and libraries where you can find all kinds of cool resources for cheap or free to keep the cost of homeschooling low. There are also educational discounts available for places like the National Trust, so you can have budget-friendly days out to boot. For more information about home education in the UK, check out my other home education posts. I just had a lovely chat with a 4-year-old’s Mum outside our daughters’ gymnastics class yesterday- I was the first ever home educating parent she’d met! And gosh yes, myths abound. I can’t believe the number of fliers and posters and ads I see informing consumers of their rights- was your flight delayed? Here are your options. Unhappy with your GP? Call this number. Onbudsman. Helpline. Advice. But nothing anywhere informing parents that Home Education is an option- there should be a big poster in every school lobby, and links to websites in every school welcome pack. I would add a seventh to your excellent list. It’s not lonely. You do not have to sit at the kitchen table with no friends all day! Yes!! Absolutely, there should be a ‘into to home ed’ pack given out to nursery kids’ parents. Definitely adding the lonely thing too, I think people think we all sit alone, quietly flipping through workbooks. I’m a big fan of home education/schooling. After de-registering our two eldest children from school, they were home educated up until they went to university and our youngest child has never been to school. However, I have to say that whilst your site talks of myths, you are (I’m sure unintentionally) perpetuating a myth passed down by home educators themselves – regarding home educated children being accepted on to university course having no prior qualifications. I believed it myself until I started to look into it. I’ve been helping admin the largest home education support groups for years and during that time, I’ve followed it up each time it’s been raised. In over four years, I’ve not been able to find on home educated child who’s been accepted on to a degree course at the standard age with no prior qualifications. As I said, I’m a fan of home education and I celebrate the different ways home schooled children to get to where they want to be without following the traditional route but I don’t’ think it does any favours to carry these stories forward when they seem to be anecdotal. Thank you for your comment and your concern for people considering home education. I’m surprised that you haven’t come across home educated children being accepted to Universities without the necessary prior qualifications as I know several people in one of the home education groups that I’m a member of, who have had children accepted to University based on a portfolio of work, admission letters and interviews, sometimes taking a University’s own test to check they were capable (or more than) of enrolling. The Open University, for example, explicitly states that you do not need any formal qualifications to undertake a course so there are even specific institutions that openly support this.